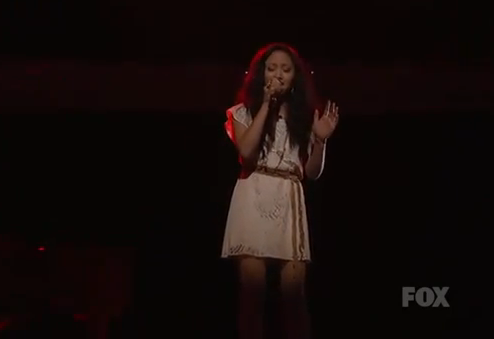 Sadly, it was more of the same from Thia Megia on American Idol last night. With each week, Thia brings that same, boring routine with a new ballad each time. I am over it. She can sing. She’s sweet, has a pretty voice. But she is not a performer and doesn’t have a clue about entertaining the audience. She sang Daniel by Elton John, sounded pretty. But that was all. I do believe she will be gone after tonight.